During those 16 months that I lived in the far-away foreign land of New England, my frequent overnight trips to the great city of Boston were an emotional lifesaver. In fact, I came to love the city so much that I hoped with all my heart Nathan would be stationed there next. Today, from 263 miles away, I'd almost forgotten about that love - until this afternoon, when it all came flooding back. 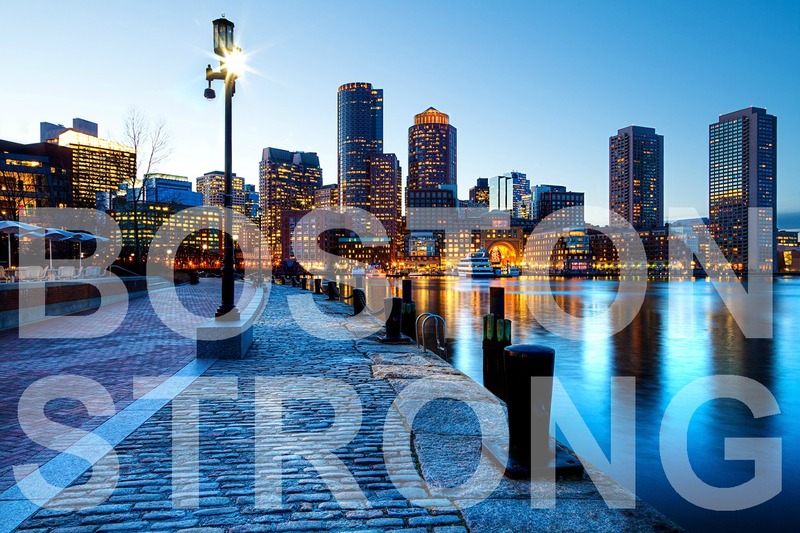 I'm relieved that all of my friends in Boston are safe, but I'm devastated that so many other people's friends & family are not. My heart is heavy for them, for their city, for our country. And beyond that? For once in my life, I'm truly without words. Only feelings - & there are just so, so many of those. Tell someone you love them. Do something kind. Make the world a better place. And don't just do it today, on the bad days - do it every day. Please, please. Do it every day. Because that's the only way we're ever going to combat the hatred that drives people to do things like this. That's all we can do - love people, no matter what, & press on, regardless.